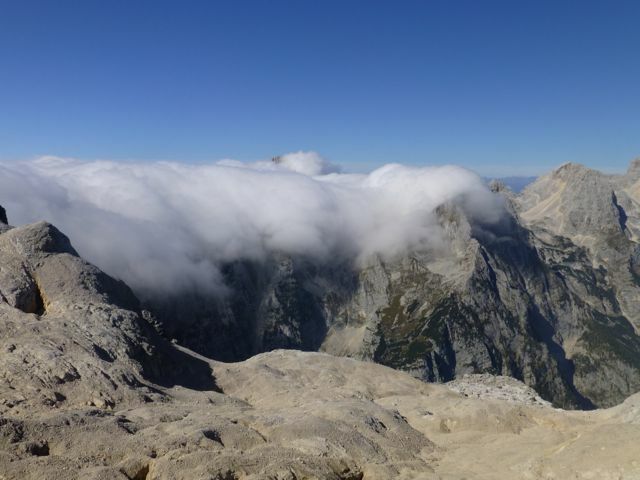 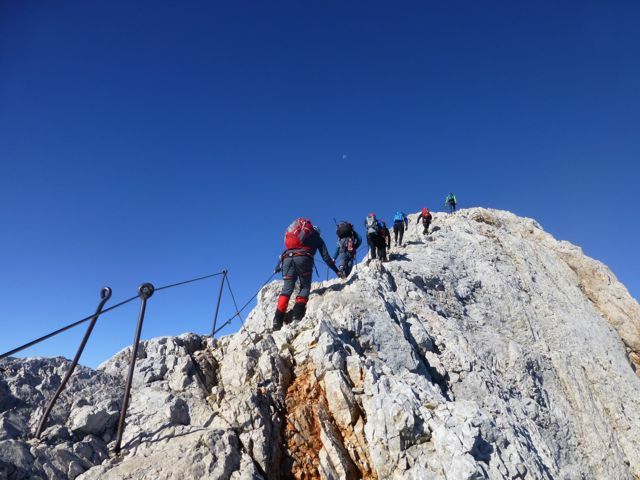 The ascent of Mt Triglav is a great mountaineering experience and offers superlative views with the whole country below your feet. 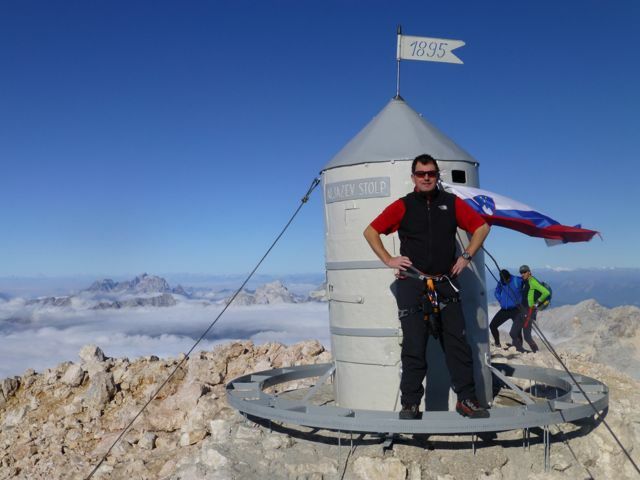 Triglav – 2864m dominates the landscape of the Julian Alps with its Three Heads and is a national symbol on the Slovenian flag. 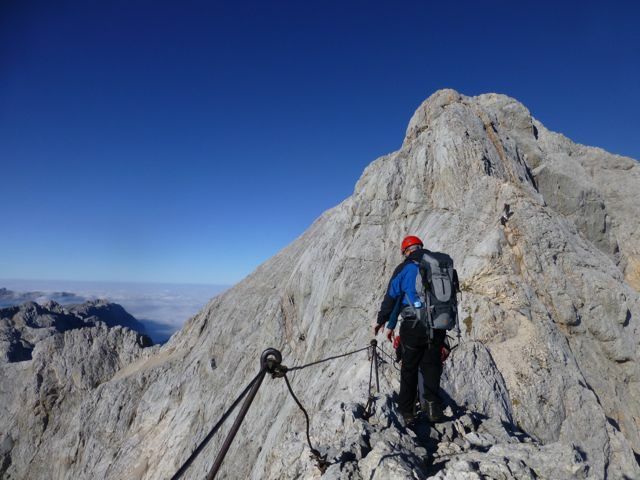 If you have experience of climbing mountains in the UK and wish to climb to a higher level, Triglav is the first step to summiting all four of the highest mountains by country in the Alpine chain alongside Grossglocker (Austria), Monte Rosa (Switzerland) and Mont Blanc (France). 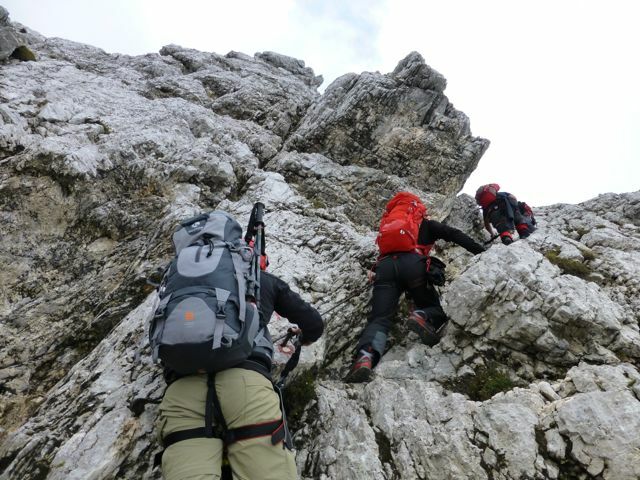 Join us on this first step and we shall help you develop the alpine skills to accomplish this goal! 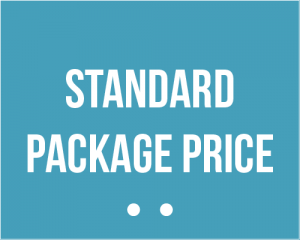 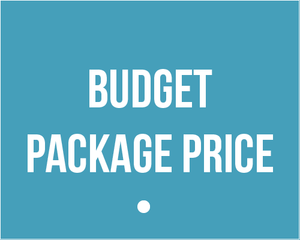 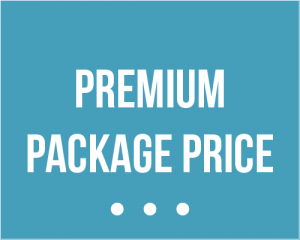 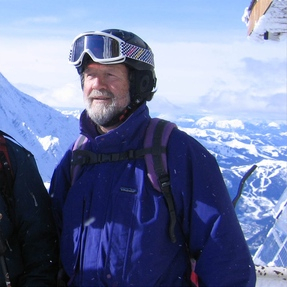 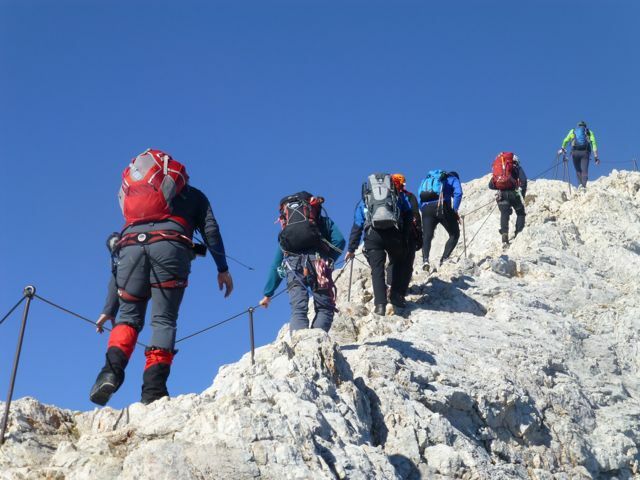 As an extended itinerary you need to add 8 days – see Grossglockner Ascent. 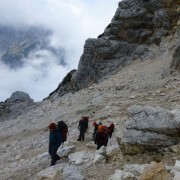 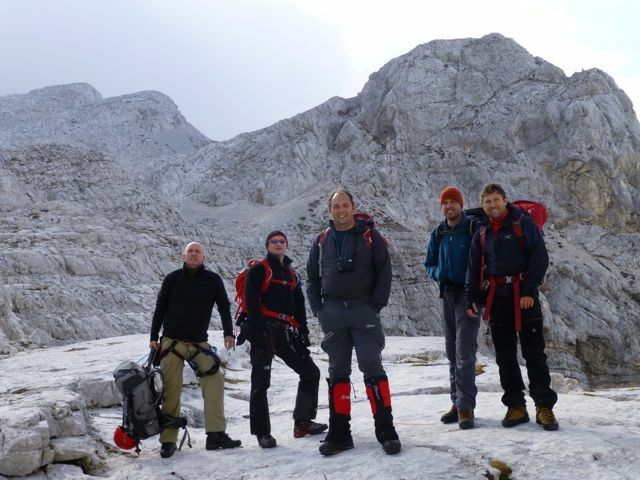 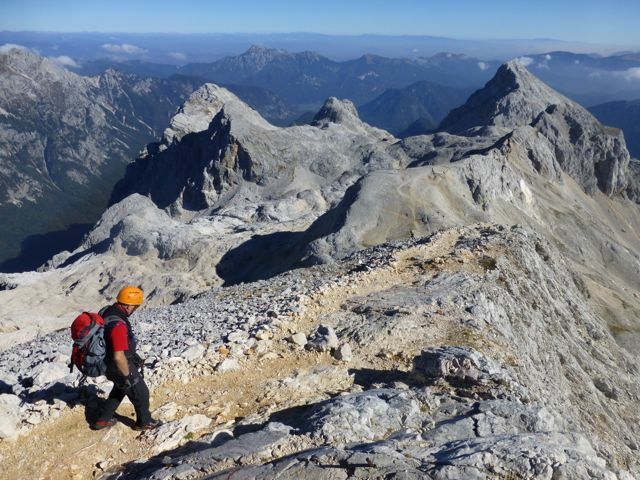 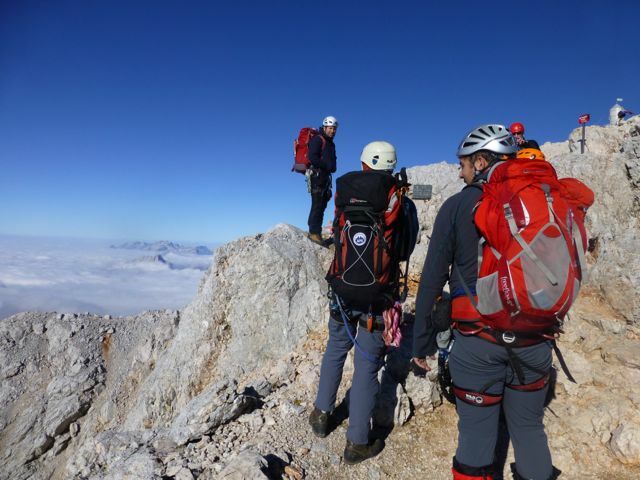 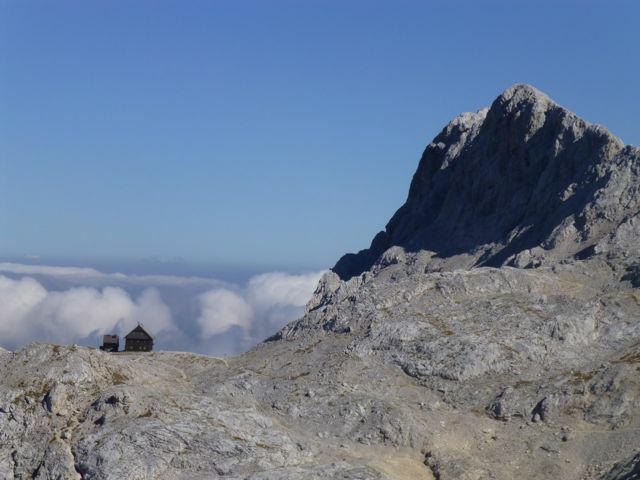 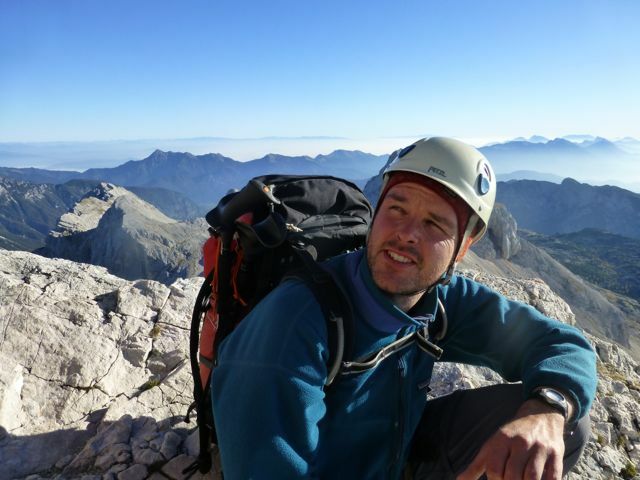 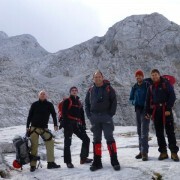 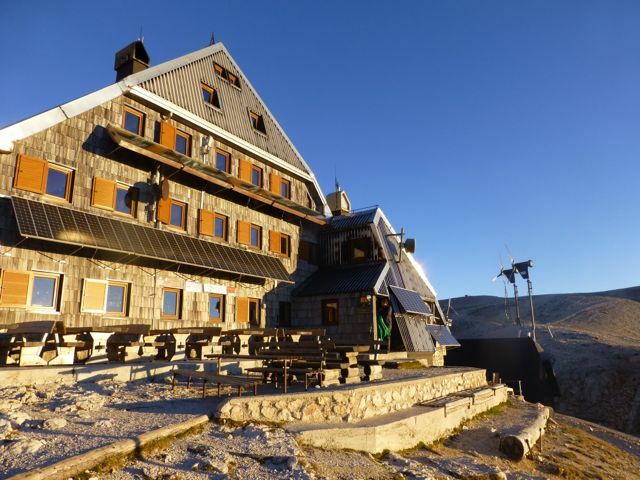 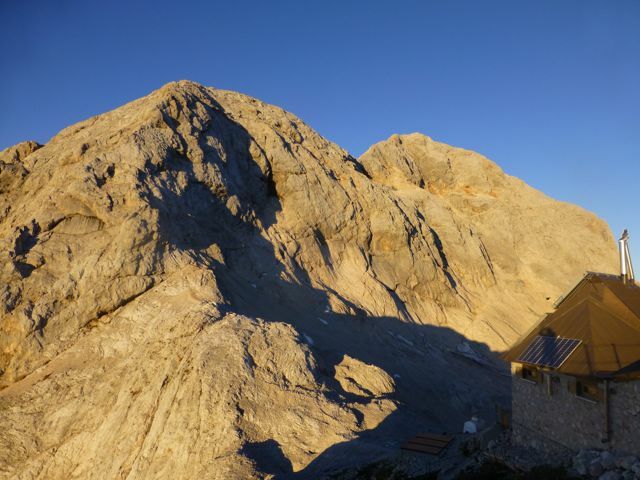 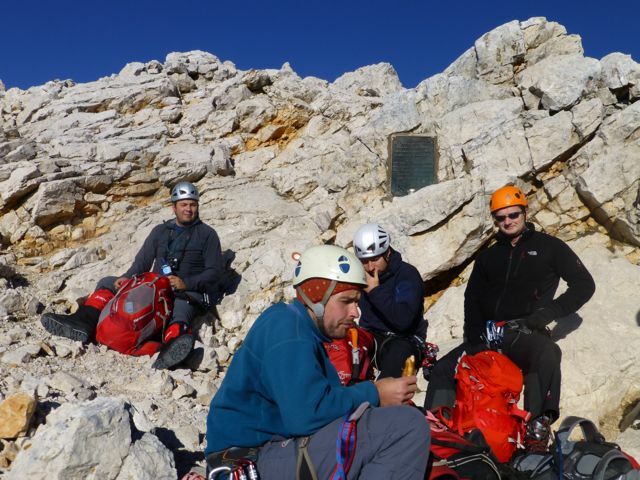 Early in the afternoon, you meet your guide and fellow team mates for the climb at Aljaž Lodge in the Vrata Valley, which is a base at the foot of Triglav’s North Face. 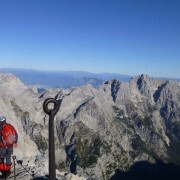 After breakfast, it’s a pretty walk up below the north face of Triglav. 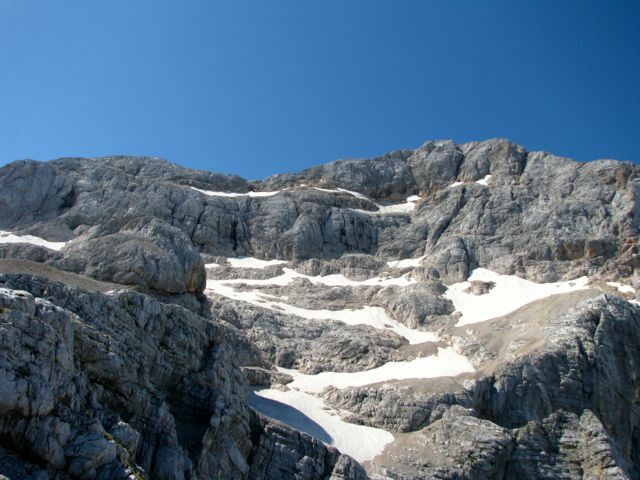 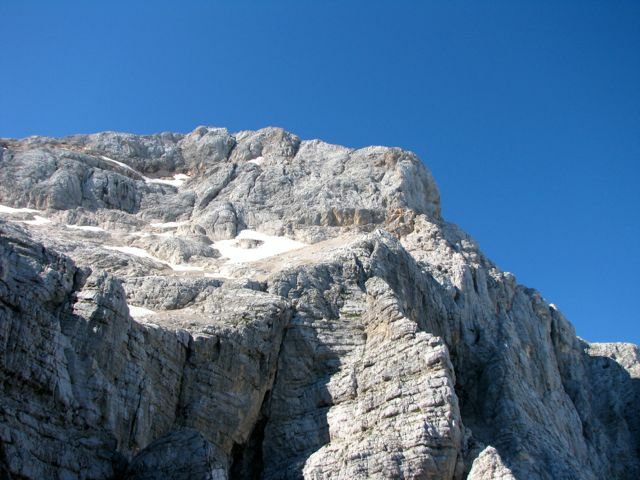 The climb today is moderately difficult, you should make it to Krederica Hut in 5-6 hours. 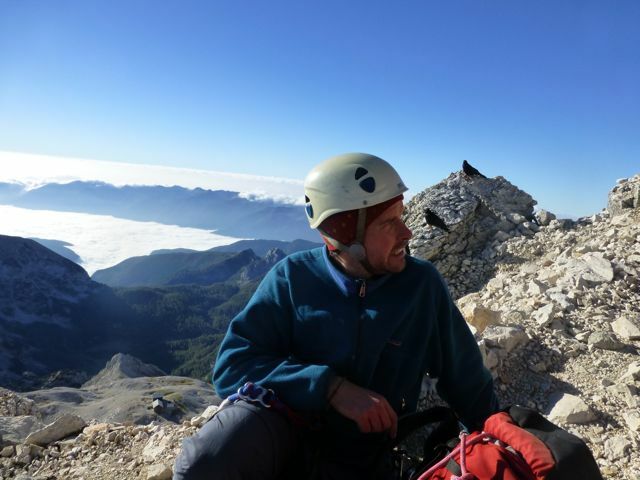 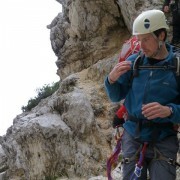 You will get fundamental course instruction on via ferrata equipment late afternoon. 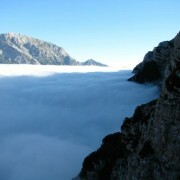 You will get up at dawn. 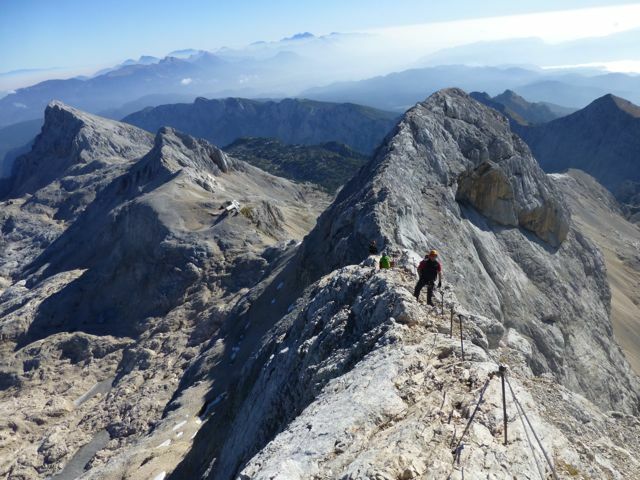 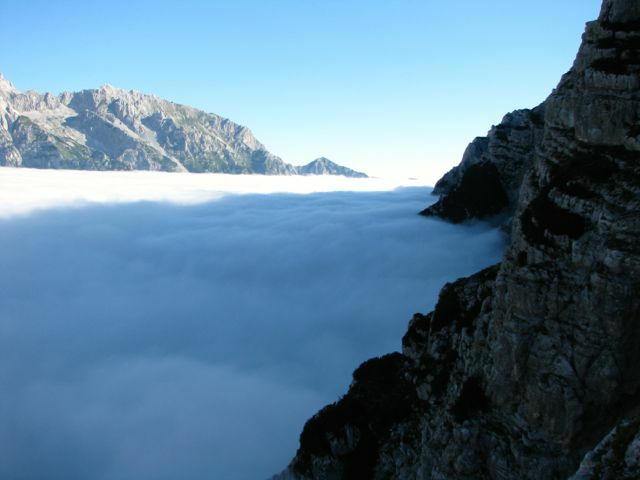 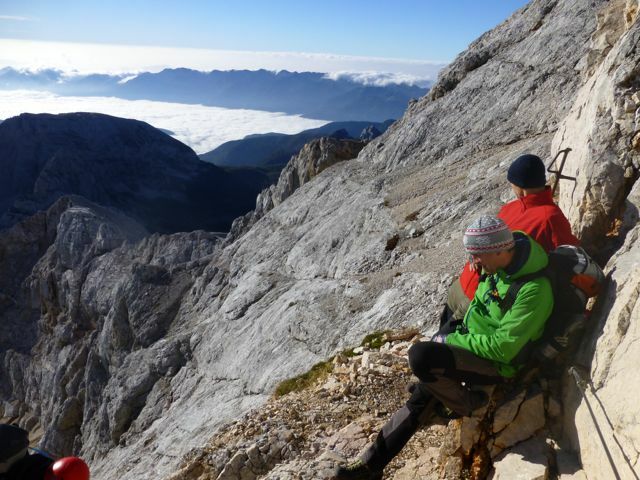 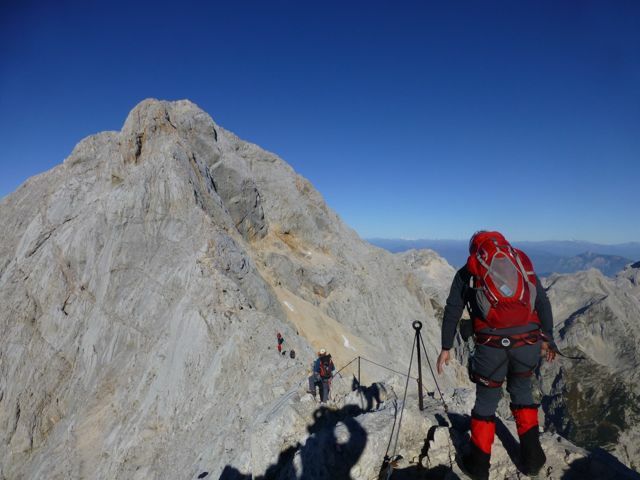 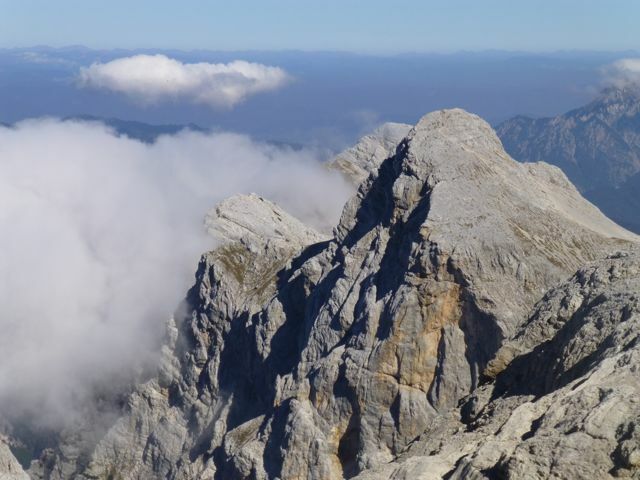 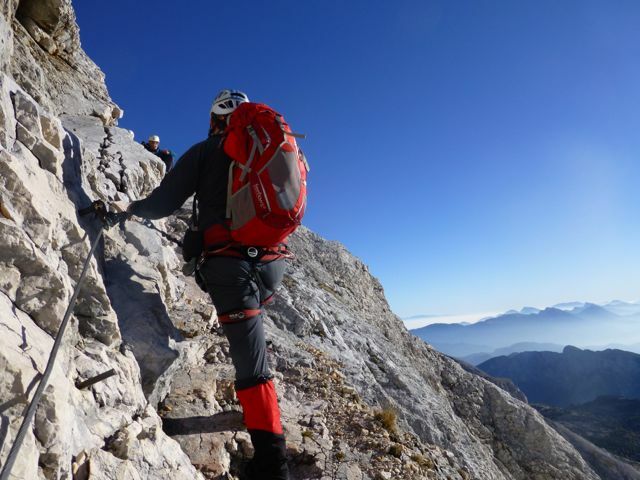 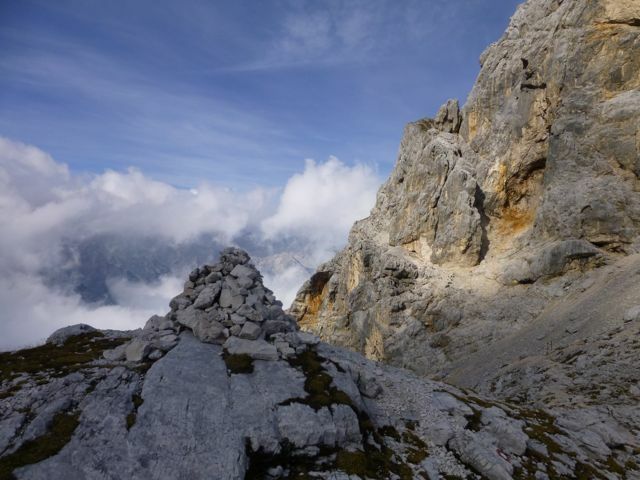 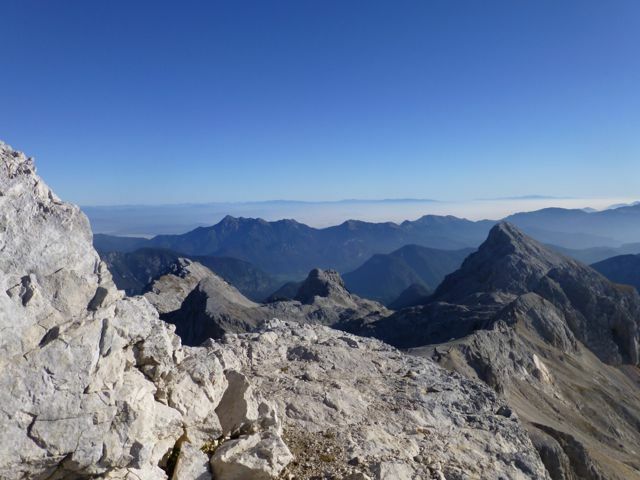 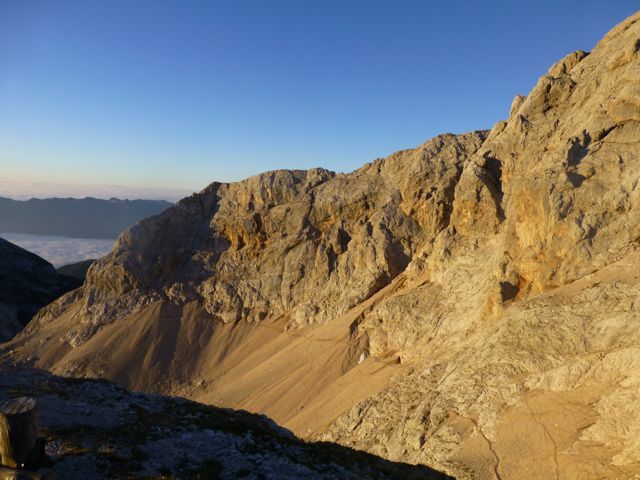 You need to ascend more than 300 vertical metres to reach the highest Slovenian peak. 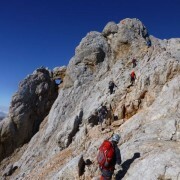 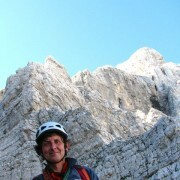 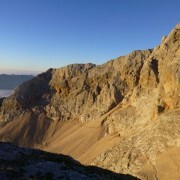 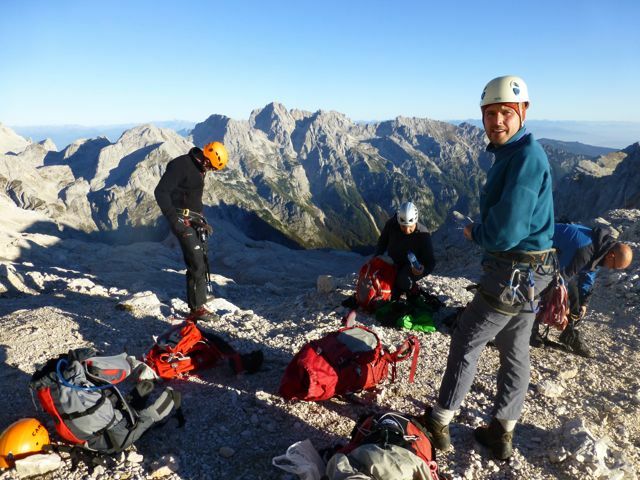 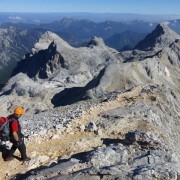 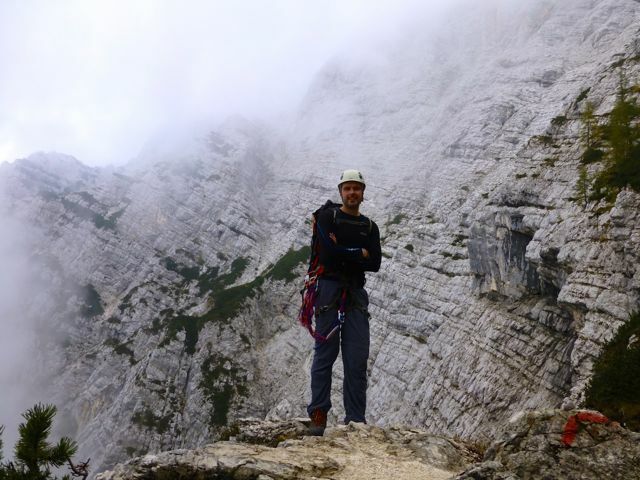 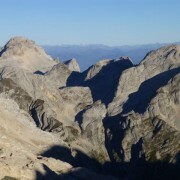 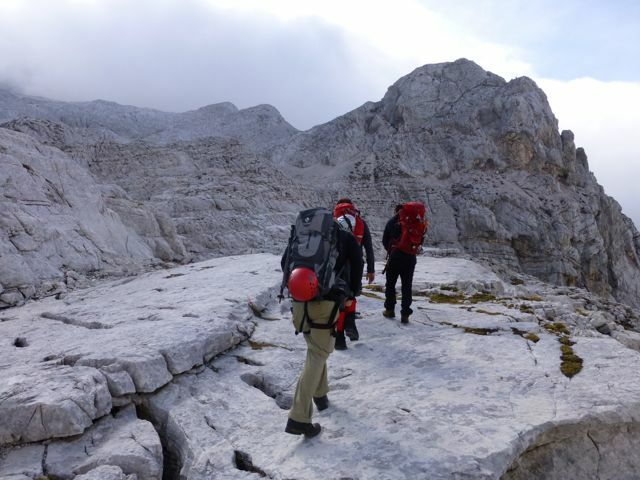 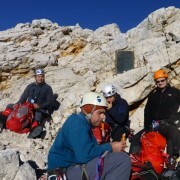 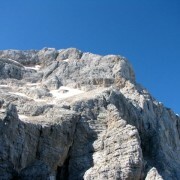 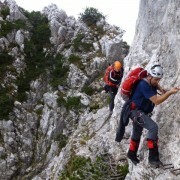 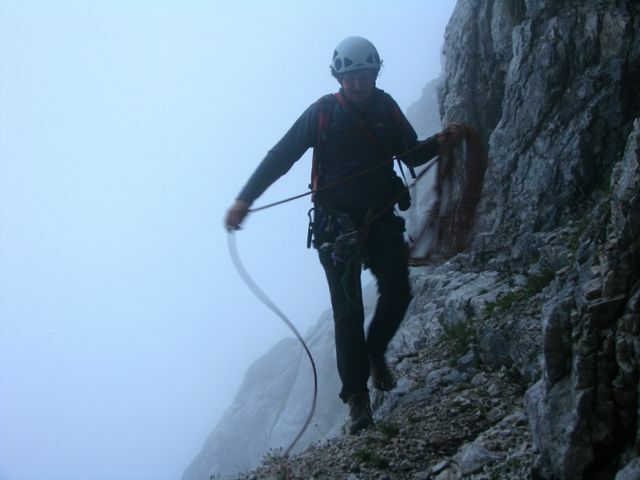 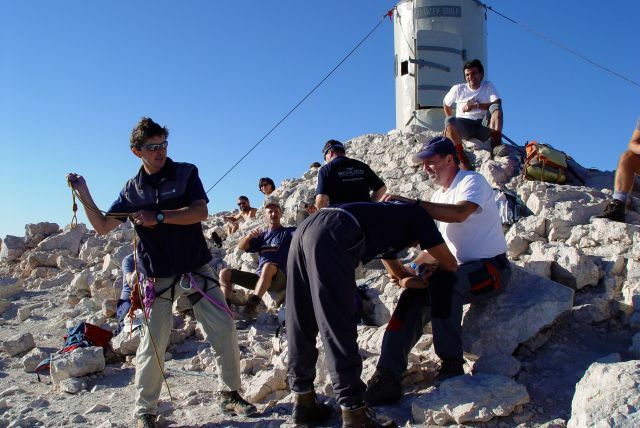 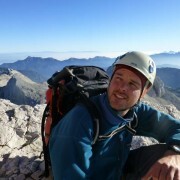 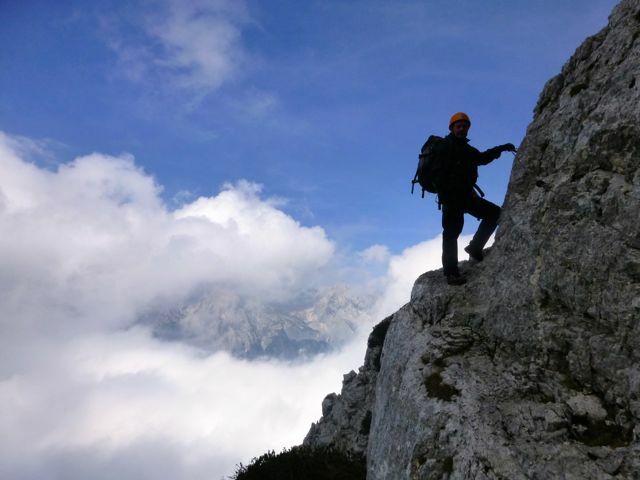 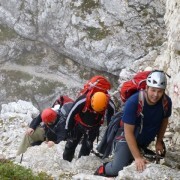 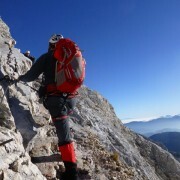 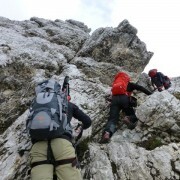 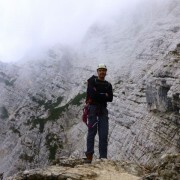 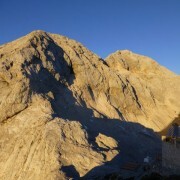 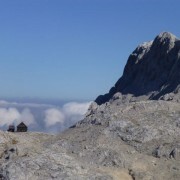 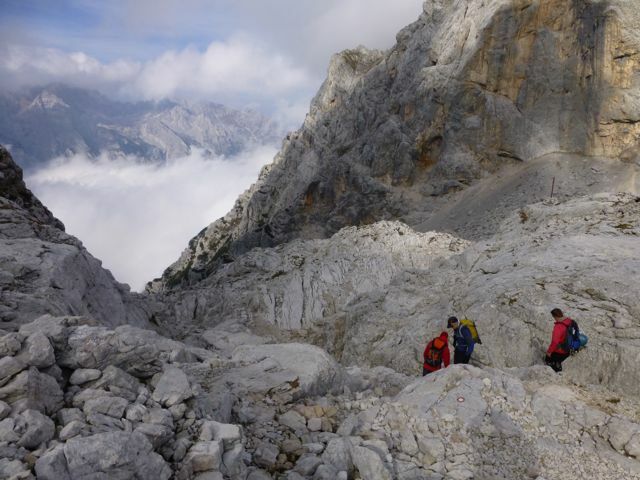 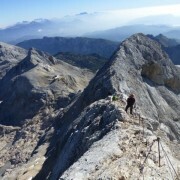 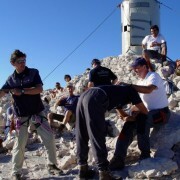 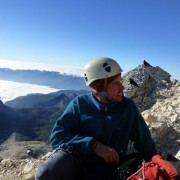 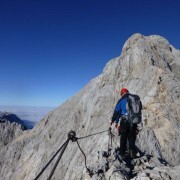 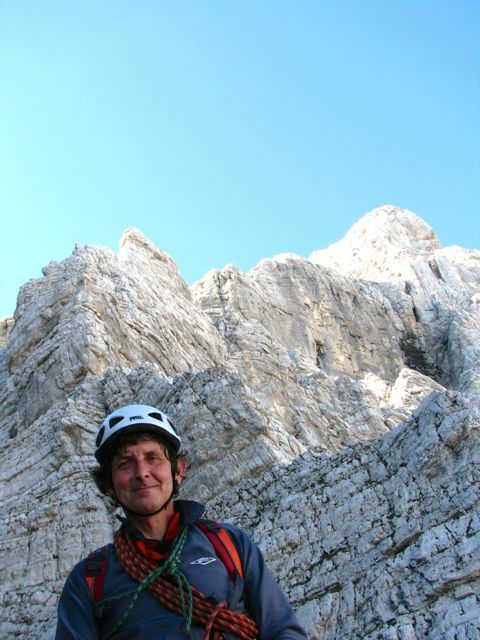 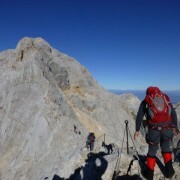 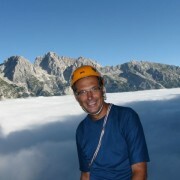 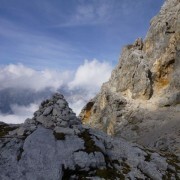 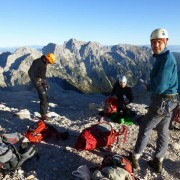 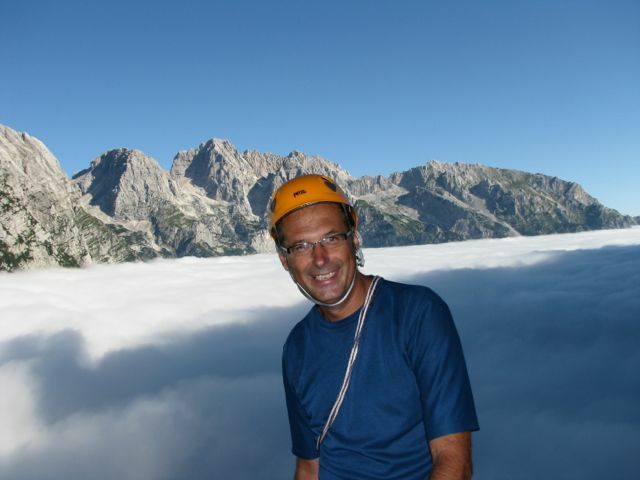 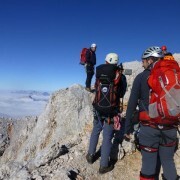 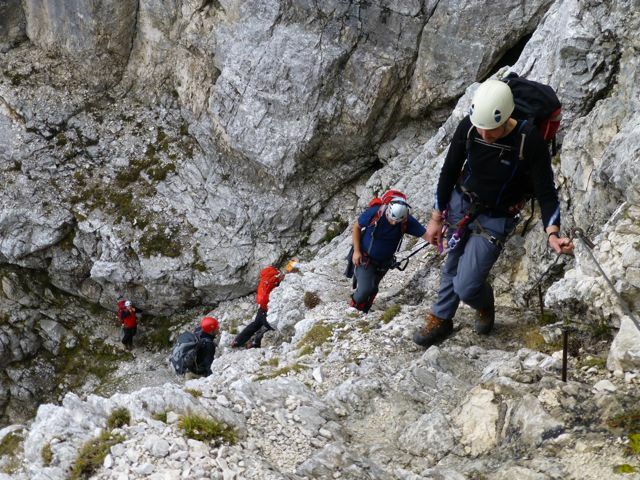 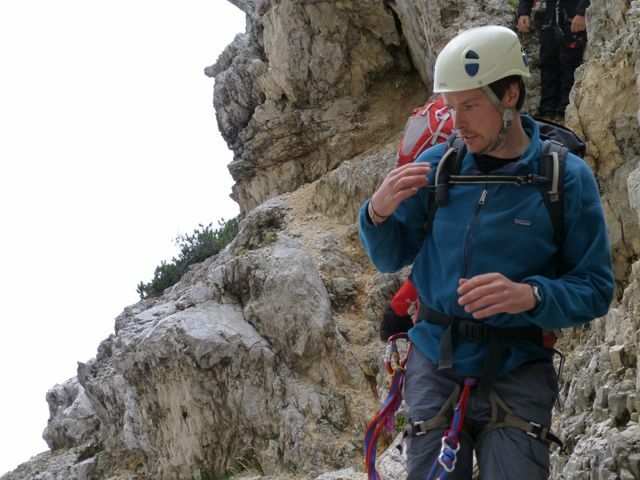 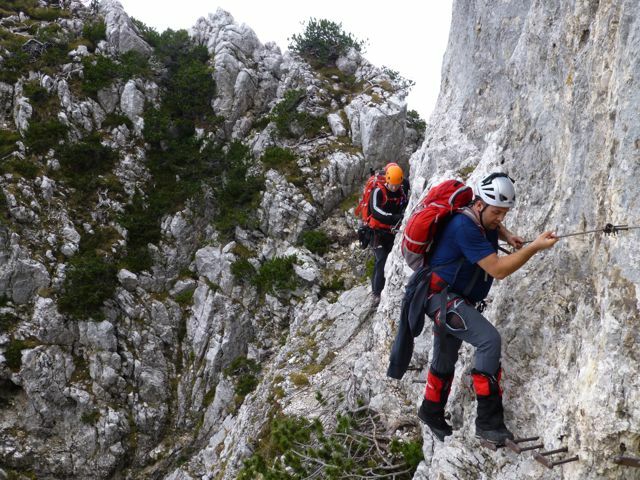 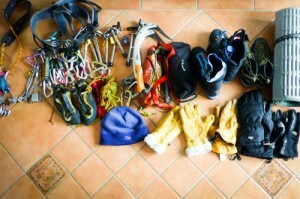 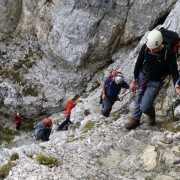 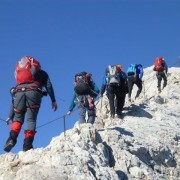 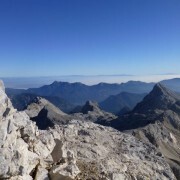 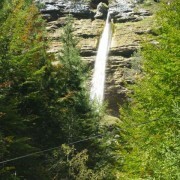 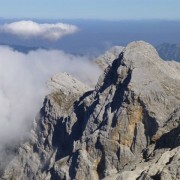 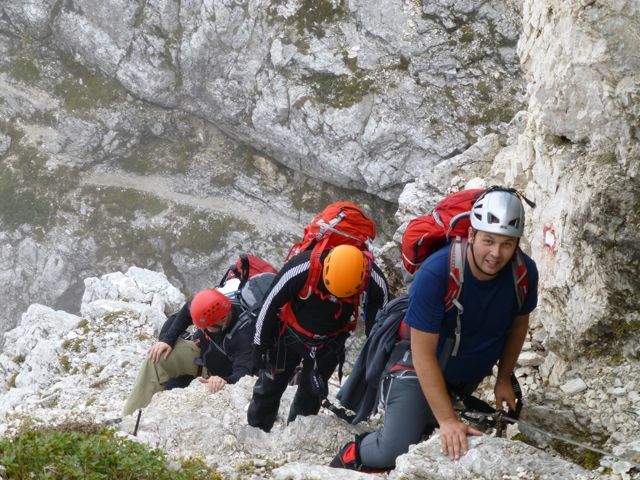 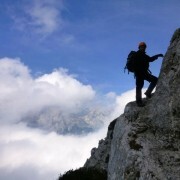 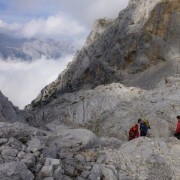 You will start the ascent using via ferrata equipment.. After about 30 mins to 1 hr, you will reach Mali (Small) Triglav. 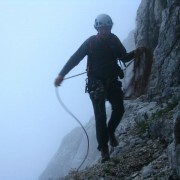 Mountain guide will rope you up. 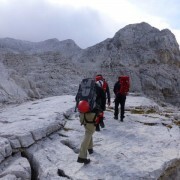 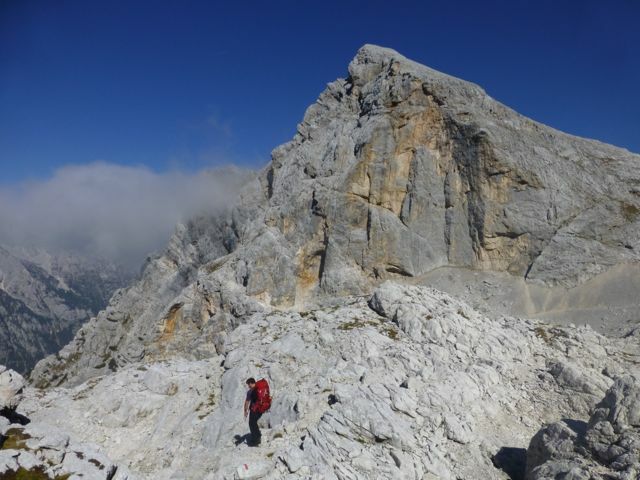 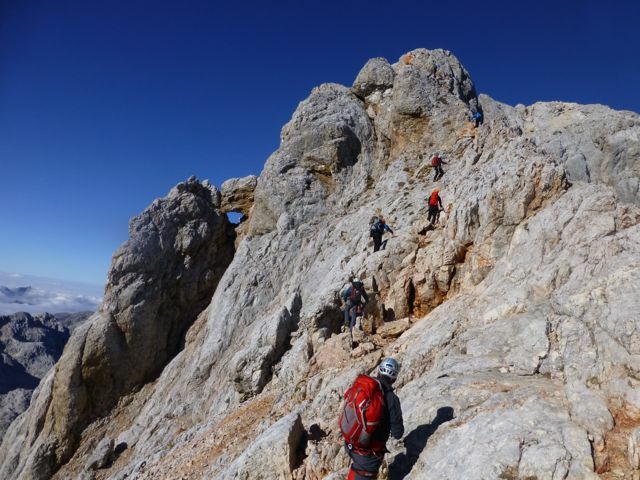 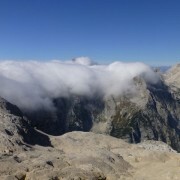 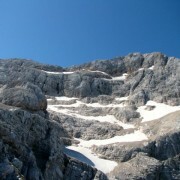 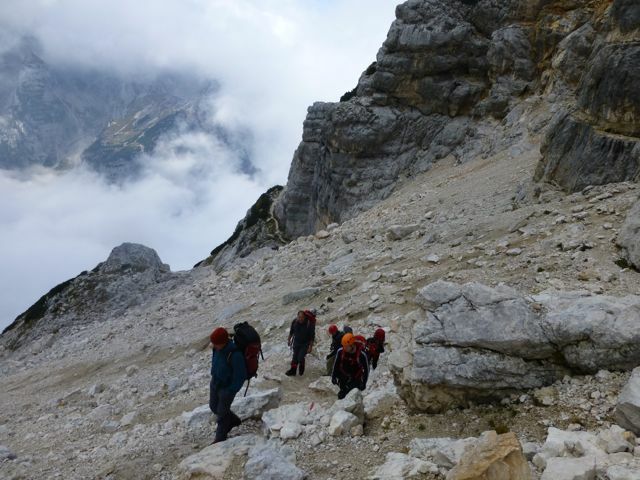 After Mali Triglav, you’re on a narrow ridge leading to the summit. 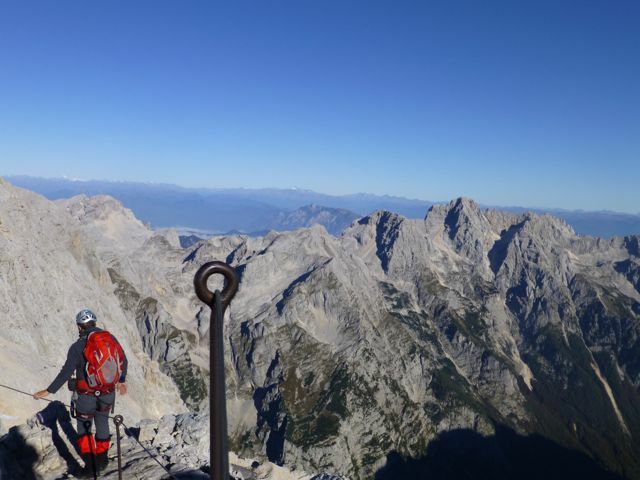 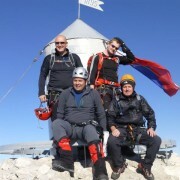 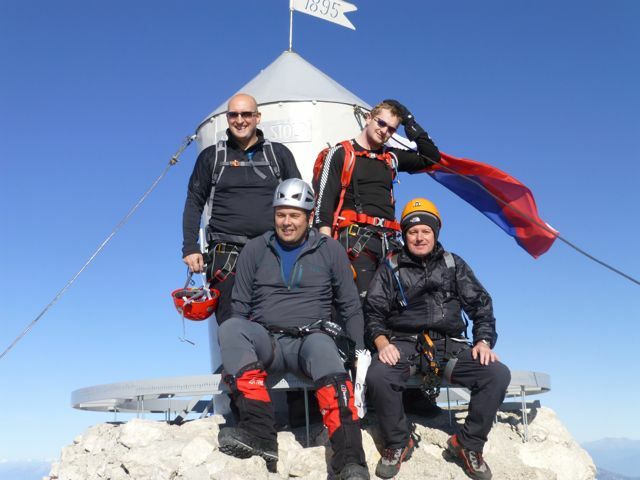 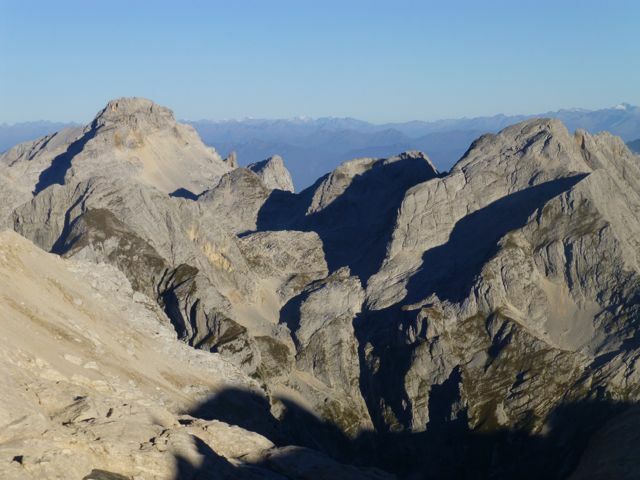 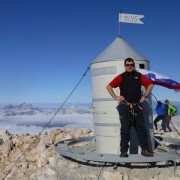 From Triglav summit – you have an awesome view of Grossglockner to the north and it is a next target after this peak. 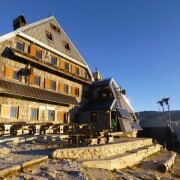 After summiting, you descend to Krederica hut for a rest. 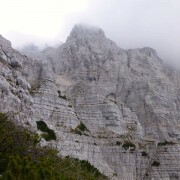 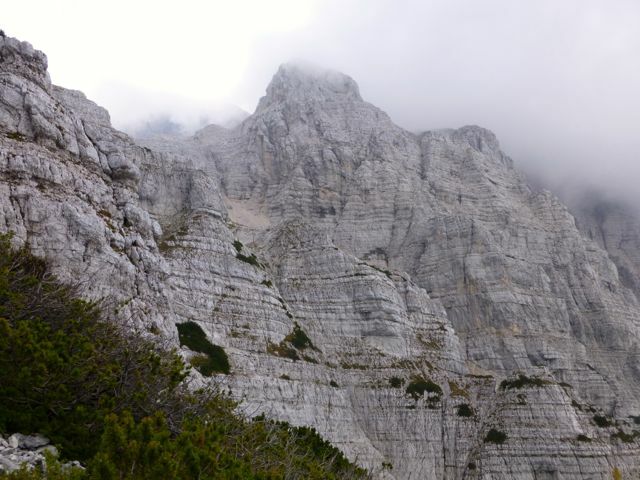 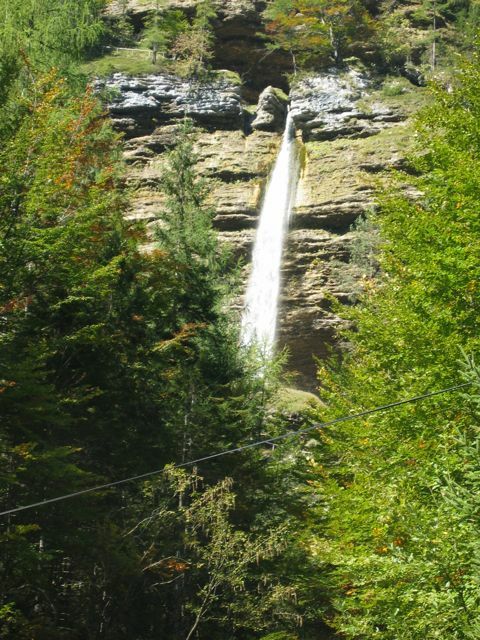 It’s quite likely that you’ll be in time to walk back to Aljaž Lodge in the Vrata Valley (4 hour walk down). 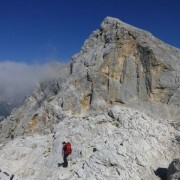 On your way down, your mind involuntarily begins to plan your next ascent on a 3000’er. 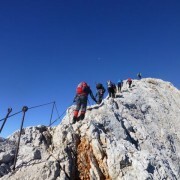 May we suggest Grossglockner as your next objective – you’re definitely fit for it after a successful ascent of Triglav.